So how did all of this start? 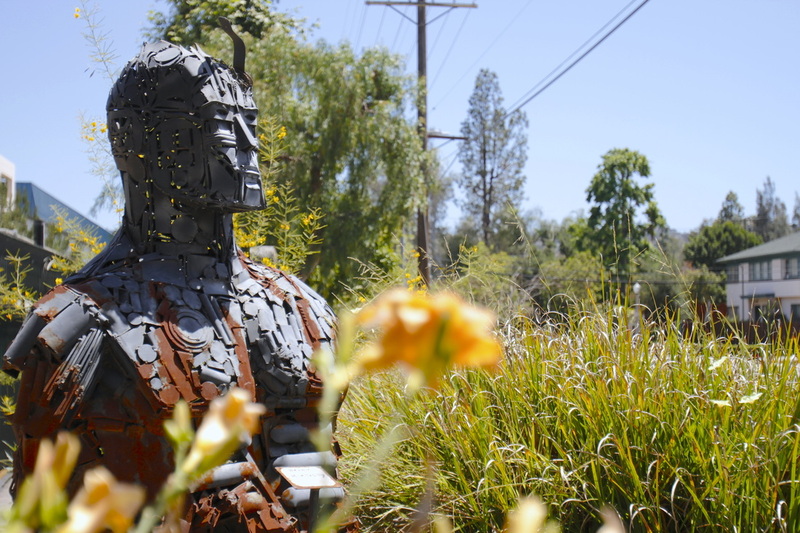 According to the Radford Artwork website, Karl Johnson kept bursting with creativity and eventually ran out of room for his sculptures. CBS President, Michael Klausman, was a fan of the work and suggested that Karl use the lot for storage. 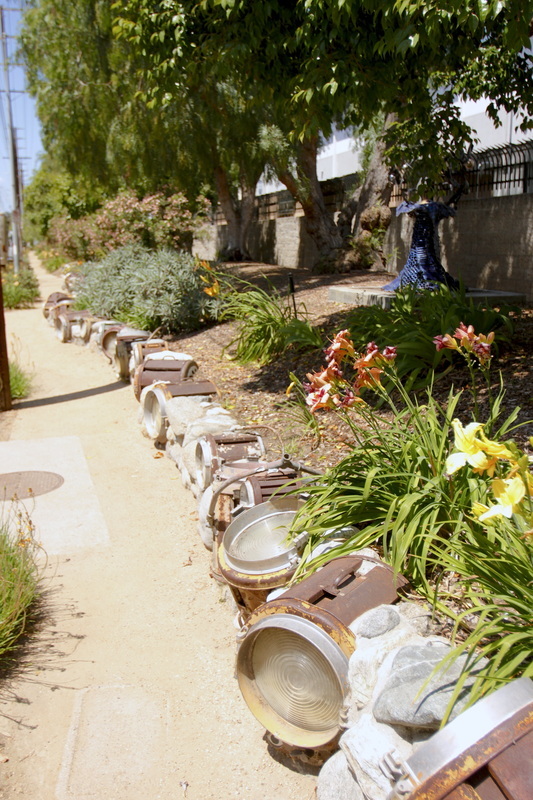 Mr. Klausman approached the SCBA board (Studio City Beautification) and after selecting thirteen sculptures, and installing a retaining wall, the Radford Art Walk opened in 2012. I must give a shout out to the SCBA. 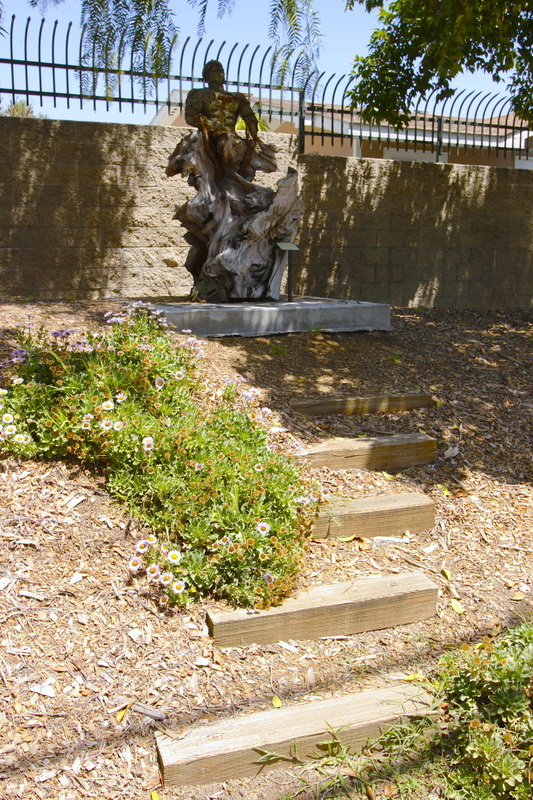 It is an all-volunteer organization that continues to look for new ways to beautify and improve the city.